If you are using a system with less than 2GB of RAM, we recommend you create a swap file; otherwise, your upgrade might fail. The composer is required for developers who wish to contribute to the Magento 2 codebase or anyone who wishes to develop Magento extensions. We strongly recommend you verify that PHP OPcache is enabled for performance reasons. For more information, please access to @System Requirement. To ensure that the installation can properly process, you should take these following preparation steps carefully. We strongly recommend you to duplicate your live store on a development store and try your installation on it in advance. Backup Magento files and the store database. Log out from Magento admin panel and log in again to refresh your control panel. The Quickstart Package offers a full data of Magento + Template + numerous Magento Extensions + Sample Content. It’s the fastest and easiest way of installing and exploring backend setting for both beginner and professor. This process installation is as easy as you install Magento, but please keep it in mind that you have the full demo of the theme on your server. To make sure the installation process successful, please follow this simple video guide step by step. How to install Magento Printmart website theme for a totally new website _ quickstart from Cmsmart Netbase on Vimeo. A theme is the perhaps the most important part for any e-commerce store. Whatever you sell online, your website’s outlook has to be at its best so that it attracts the customers enough to stay in the store. So, how to install a new theme for a store? Please follow this simple video guide step by step. How to install Magento 2 Printmart Website theme. One of the ways to make your website look impressive is to change the display font. How to change? Please follow this simple video guide step by step. 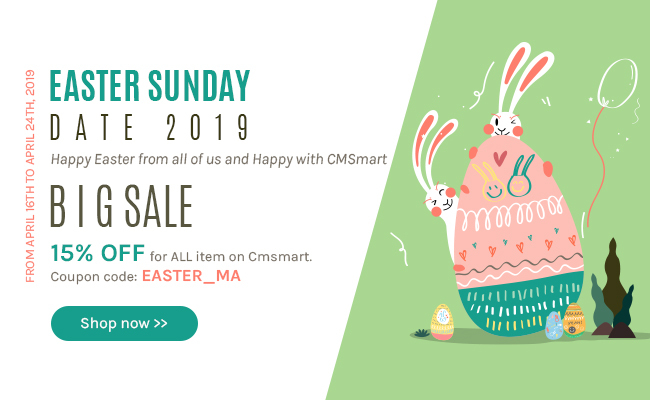 How to Customize font for the entire website built by Magento Printmart theme with online design from Cmsmart Netbase on Vimeo. You want your website to look lively and eye-catching with the harmonious color scheme. Or do you want to change colors to suit summer or fall? With our Magento 2 Printshop solution, you'll easily do just that. Please follow this simple video guide step by step. How Customize color for the entire website built by Magento Printmart theme with online design from Cmsmart Netbase on Vimeo. Do you want to highlight one content or a header như h1, h2 ... to attract customers? With our Marketplace 2 Multistore solutions, you can easily do that. Please follow this simple video guide step by step. How to customize typography for heading and content tags in Magento Printmart theme with online design from Cmsmart Netbase on Vimeo. Customizing link colors is easy with the new core of our Marketplace 2 Multistore solutions. Please follow this simple video guide step by step. How to customize color of link in Magento Printmart theme with online design from Cmsmart Netbase on Vimeo. Notes: Remembering Save Config after each change. And Flush cache after each configuration. To setup currency, you can go to Store -> Configuration -> General -> Currency. Set Allowed Currencies are the currency you want on your store. Go to Store -> Currency Rates, press Import. Wait for the system to import currency exchange rate. Click Save Currency Rates button to finish config. Notes: Go to System -> Cache Management and refresh the cache. Magento cache (or external cache) was not flushed after we installed the theme. Some of the theme files were not uploaded or even broken. To resolve this issue, you just need to re-upload original theme files to your server (overwrite existing files) and flush the cache. Note: that files can be broken if you send them in large numbers via FTP without zipping. So it is highly recommended to upload zipped files. The theme wasn’t enabled properly. Please refer to Installation for more details. You have some third-party extensions which change/break theme’s default or cause some conflicts. Disable all extensions and flush the cache, then enable extensions one by one to check which one is causing problems. Refer to Third party extensions for more details about third-party extensions. You edited theme files and accidentally removed or changed something in the files. Re-upload original theme files to your server (overwrite existing files) and flush the cache. To overcome this issue, just log out from Magento admin panel, delete all files in var/cache/ directory (to clear Magento cache), and log in again. Incorrect file permissions on your server may cause several issues. After uploading any files to your server to install themes or extensions you need to set correct file permissions for all of them– Certainly, the permission must be set as same as for the default Magento files. At first, log out Magento admin panel, change the owner of the uploaded files to the web server user and set correct file permissions for them. Delete all files in var/cache/directory (do not delete the directory) and log in again. This may be caused by jQuery conflicts: one of your custom extensions is loading another version of jQuery. You need to remove that version of jQuery or remove that extension. Sometimes after installation, some images on custom CMS pages or inside static blocks (e.g. images in the slideshow) are not displayed. First, check whether images were uploaded or not. And then correct paths to those files can be found in the source code of your page (click CTRL+U in most browsers). Notes: In fresh Magento installation, the default sample home page tries to load sample images which don’t exist in this theme (so you will see blank rectangles instead of images). Go to CMS > Pages > Homepage, remove the default content or replace it with your own content. Make sure the configuration of the slideshow is correct. Enable all the static blocks which are used as slides in the slideshow. Finally, flush the cache. This theme is not compatible with all third-party extensions. During using the template, there will appear conflicts when there are some extensions not working with this theme. It is because the extension and the theme override the same Magento template file, resulting in the problem. To resolve this case, you need to customize the theme and merge two conflicting template files into one template file. It is also recommended that this is not a specific issue, very common rule of all Magento themes and extensions. There can be a conflict if the extension and the theme override the same Magento template file. You should contact the author of the extension for more information. Also, check your log files in var/log/ (log settings should be enabled in System >Config> Developer) for more details.